Tweet - "Democrats want to keep searching for imaginary evidence that supports their claims, but it is simply not there. IT IS TIME TO MOVE ON." Tweet - "From combatting terrorism to ensuring a positive outcome to the crisis in Venezuela, our alliance with Argentina is an important one--and it will be for years to come." Tweet - "On this day in 1973, the last U.S. combat troops left Vietnam. To all who served, we are forever grateful. #VietnamWarVeteransDay"
Tweet - "Nine members of the House Intelligence Cmte have just called for Chairman Adam Schiff's "immediate resignation as chairman of the committee." For two years he misled the public on collusion, and the American people no longer have faith in his ability to lead. He should step down." Tweet - "19 times &#8592; House Republicans have tried to pass the Born-Alive Abortion Survivors Protection Act, a bill that would rescue children who survive a botched abortion. 19 times &#8592; House Democrats have blocked it." Tweet - "The United States condemns Hamas' despicable rocket attack on women and children. We stand with the state of Israel as it defends itself and its people." Tweet - "After two years, two congressional investigations, and now the closure of a Special Counsel investigation, it is abundantly clear, without a shadow of a doubt, there was no collusion. This case is closed. My full statement:"
Tweet - "Under Republican leadership, Americans have seen unemployment go &#8595; and wages go &#8593;. Proud to appoint these leaders to @JECRepublicans to continue that work: * @RepDavid * @RepLaHood * @RepKenMarchant * @HerreraBeutler"
Tweet - "The United States stands with the people of New Zealand in their hour of need, and we condemn the hatred and bigotry that incited such a horrific terror attack." 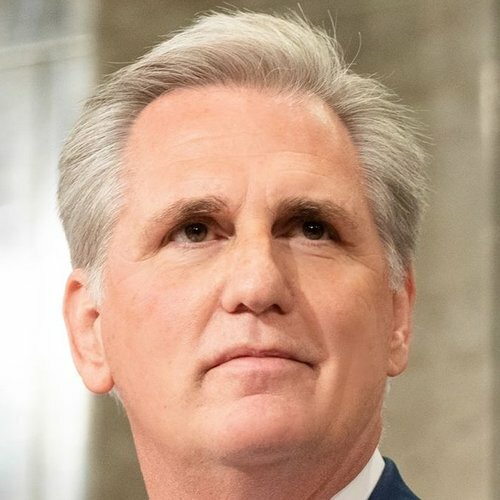 Kevin McCarthy voted Yea (Passage) - H Con Res 24 - Expressing the sense of Congress that the report of Special Counsel Mueller should be made available to the public and to Congress. Tweet - "Big tech doesn't need to be replaced by big government. Fair competition, transparency, and accountability drive innovation and user trust. #FreedomNotControl #StopTheBias"
Tweet - "Every veteran should have access to quality care. With the #VAMissionAct and @SecWilkie at the helm, the Trump Admin has taken great steps to reform and modernize @DeptVetAffairs so that it works better for all who have served our nation. &#127482;&#127480;"
Tweet - "For the 16th time, Democrats refused to bring the Born Alive Abortion Survivors Protection Act up for a vote on the floor. We will continue to ask for unanimous consent because it is still the right thing to do. @HouseGOP news conference starts soon"
Tweet - "The #GreenNewDeal calls for the elimination of the oil and gas industry. Meanwhile, the United States is on track to become the world's largest oil exporter by 2021. THAT is a good deal for our economy and for American workers who depend on energy jobs." Tweet - "The Born Alive Protection Act is NOT a debate about abortion. It's about protecting a baby who is ALREADY born. Democrats are the ones on the wrong side of history on this. Today, for the 16th time, they'll have an opportunity to make it right." Tweet - "This bill we're about to vote on today-- #HR1 --is a massive federal government takeover that would undermine the integrity of our elections."